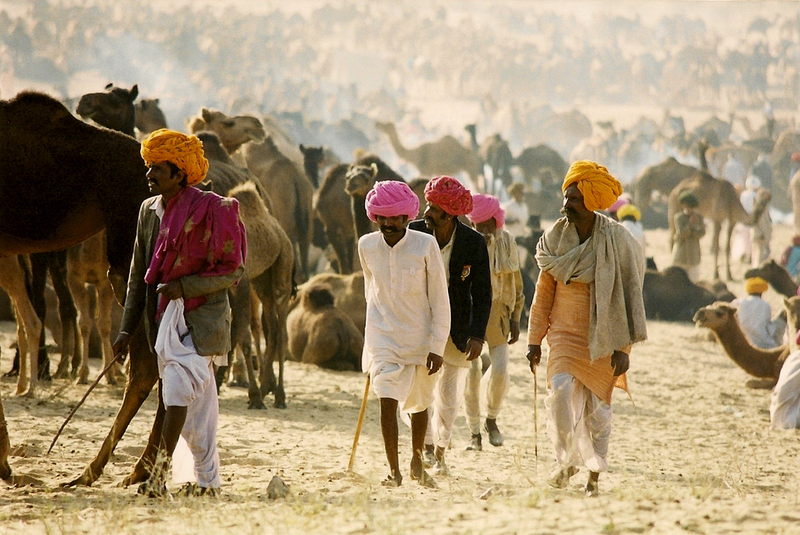 Fall in Pushkar, the Indian pilgrimage town, is busy season. 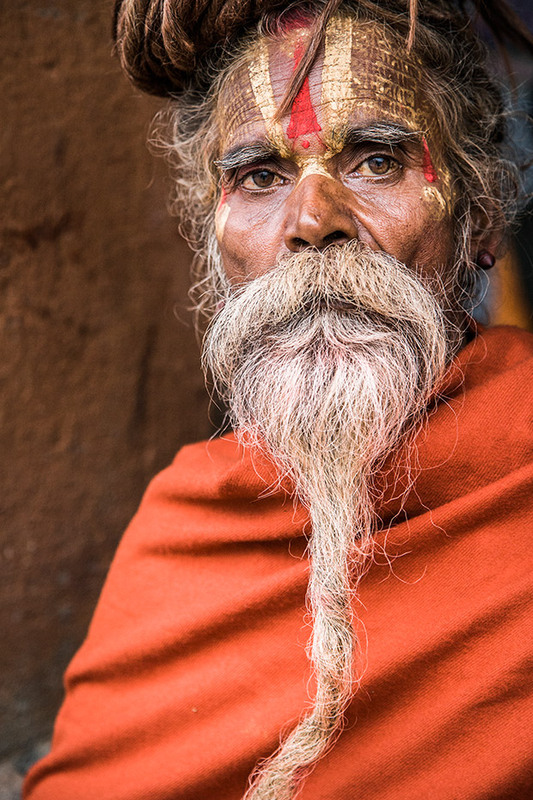 In October comes the Camel Fair, an annual event that draws thousands of tourists intrigued by the sights -- the unending herds of camels and livestock for sale, the world’s-longest-mustache contest, the dark-eyed pilgrims, so unlike beggars anywhere else in the world. 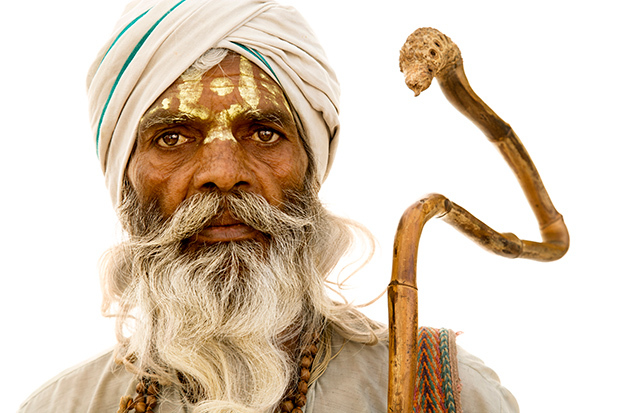 Photographer Brian Hodges turned his lens exclusively on the latter for a series of portraits shot during the 2007 fair. 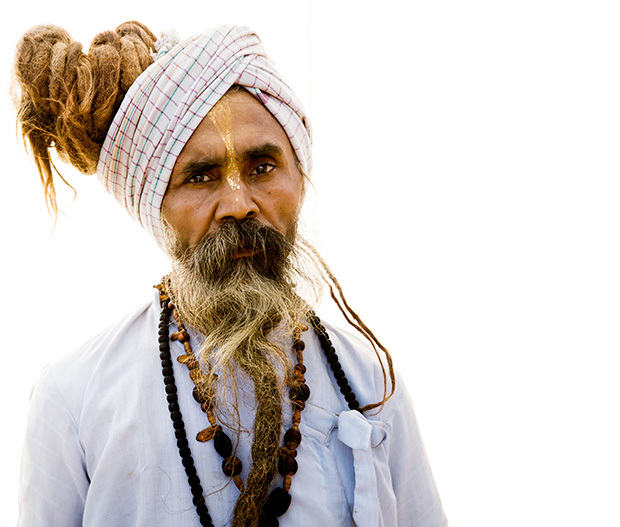 Rather than focusing on the obvious attractions, he examined the physiognomy of Pushkar’s many sadhus, or holy men. Fittingly, Hodges’ setup was as natural as they come. 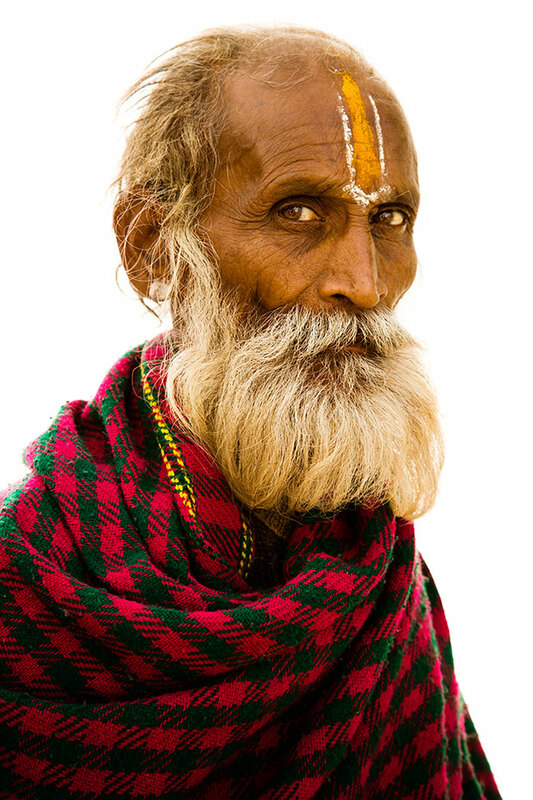 For four out of the festival’s five days, he shot in a makeshift studio built from a white tarp, bamboo poles and string, all of which he bought locally. The idea for the shoot had come to him in the moment, and he wasn’t prepared. 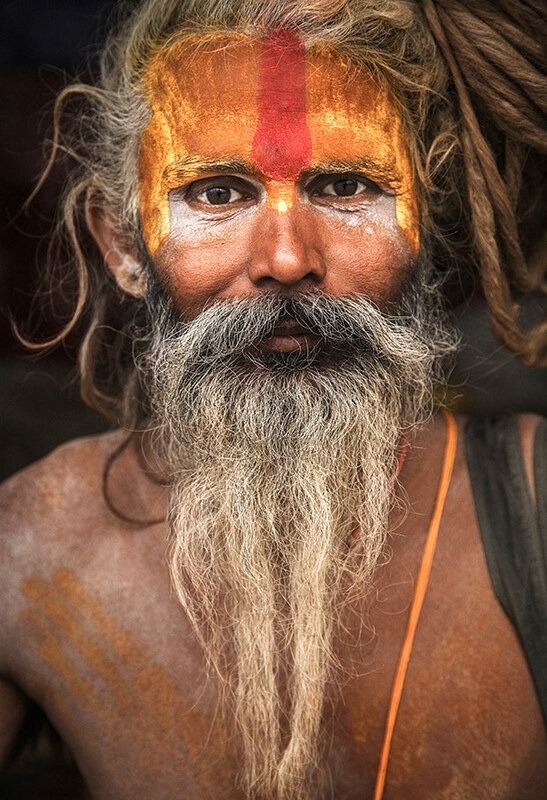 All he had on him in the way of equipment was his camera. 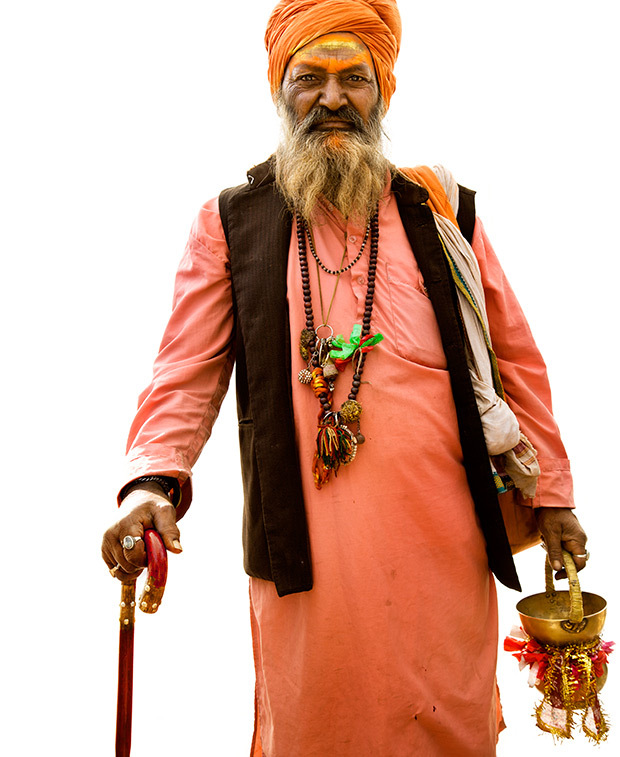 Hodges paid a local boy to help recruit subjects, all of whom were the mendicants who wander Pushkar asking for alms. 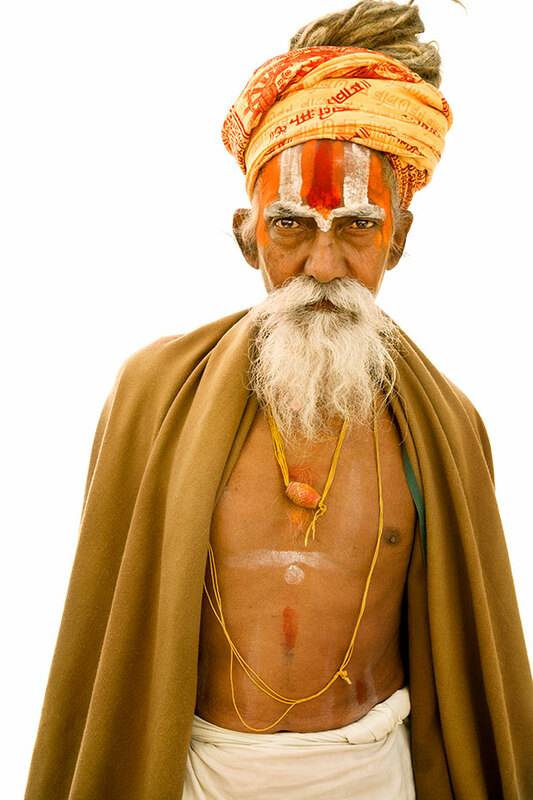 The traditional dress of a sadhu tends to mimic the colors of fire, a purifying force: orange, yellow, red. Aside from his subjects’ faces, Hodges was drawn to the beauty of their clothing, which emanated an effortless sense of style.